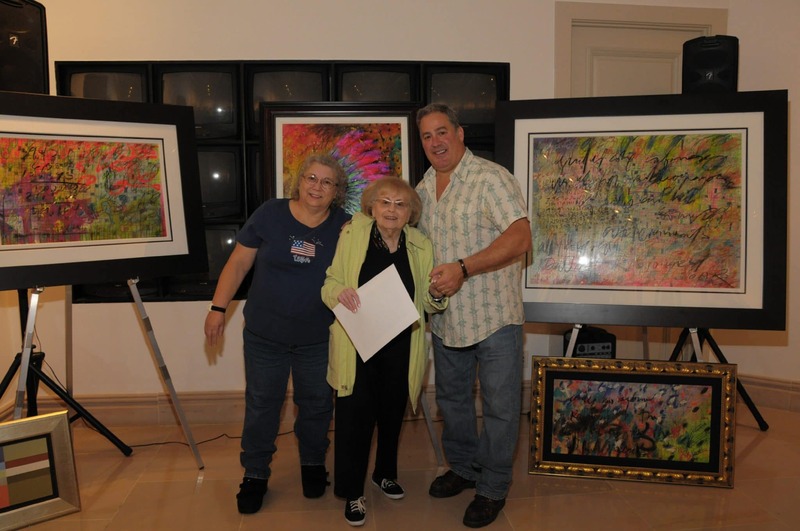 Park West Gallery recently hosted a day of art enrichment for the residents of American House Senior Living Community. 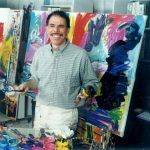 Michigan-based contemporary artist Tim Yanke generously volunteered his time to visit with the guests and inspire them through a presentation of his art. Artist Tim Yanke with two American House residents. The seniors were with fascinated by Yanke’s vibrant, abstract paintings and the unique language of symbolism so prevalent throughout his work. Everyone thoroughly enjoyed learning about the artist’s creative process, as well as sharing their thoughts on topics such as the influence of technology on contemporary art. “THANK YOU all for another wonderful event. All of our residents were truly enriched by the experience and I know will talk about it for weeks and months to come,” said American House Director, Betsy Pilon. 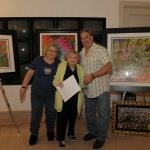 This was the second event of its kind between Park West Gallery and American House; earlier this year, residents enjoyed an artist lecture featuring Dominic Pangborn.